Hannah is a diver, marine biologist, and photographer from the UK. She’s currently living in the Maldives to shoot her favorite subject: water. Explore more of her work at www.hannahprewitt.com. The morning of Sunday, May 27th was dark, windy and wet. It was also my first wedding anniversary. 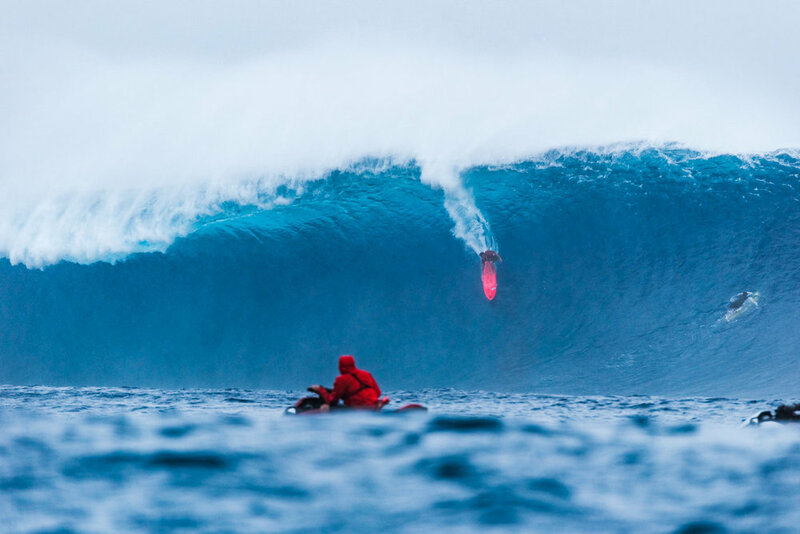 Perhaps this was not the best day to plan a surf shoot, but rumour had it that the biggest swell since 2012 was going to hit Fiji. 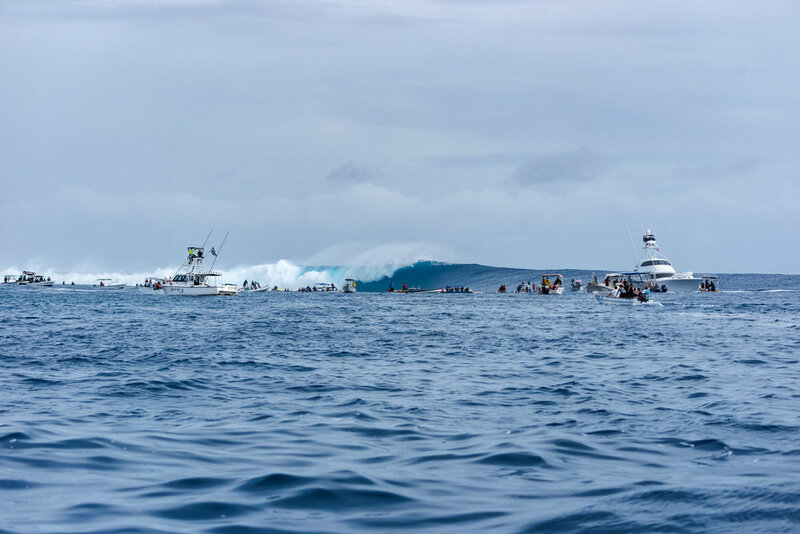 So we waited anxiously for the tide to start to fill in, then put on our rain jackets and headed out to Cloudbreak: the infamous wave that I'd been so thrilled to see for the first time a few weeks ago. I'd thought it was big then. How wrong I was. As we approached the break, you could see the spray from hundreds of metres away. And the boats — so many boats. I don't have that much experience shooting from a boat, but I've never had to compete with sixty other boats for a good spot. Factor in the rain and wind, and this would be the most challenging shoot I've ever done. It's hard to describe the feeling of being so close to something so powerful. Your body is tense and your heart is racing the whole time. 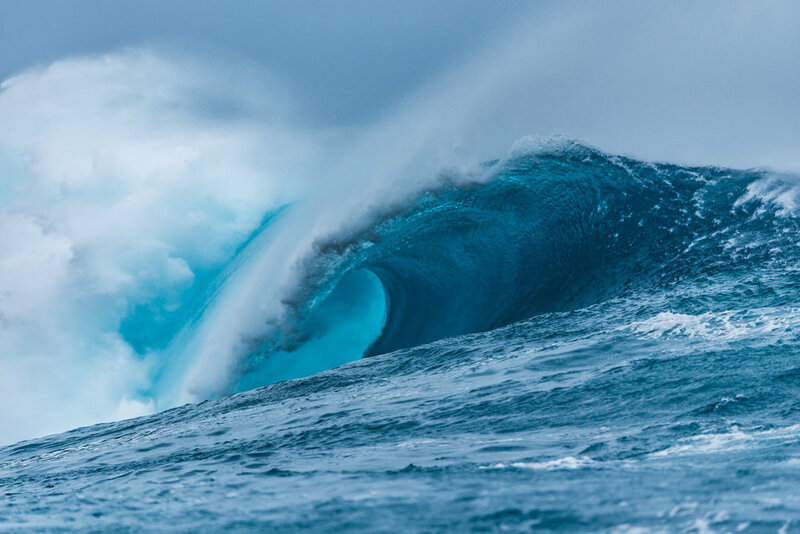 The waves are majestic on their own, some of the most fierce and beautiful things I've ever witnessed in nature. 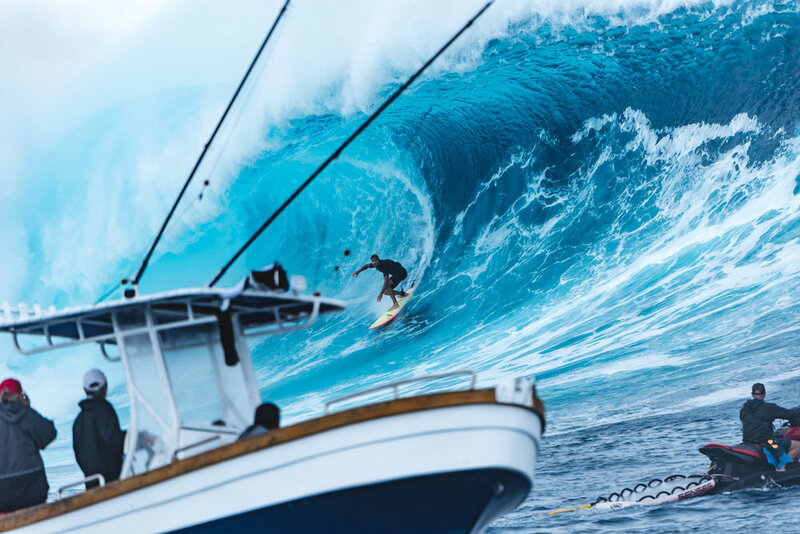 Even the highly experienced watermen, who are around big waves all the time, seemed to be delighted by the spectacle. To comprehend the size of these waves, you really need to have a something in the shot for scale. No one was doing turns. 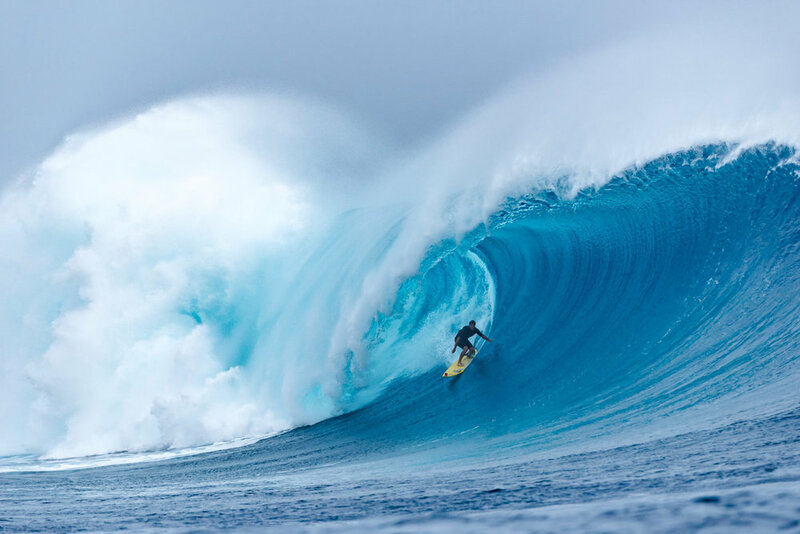 The aim was to get as shacked as you could and make it out the other side alive. Finding the right spot to shoot photos was difficult. Boats started getting deeper and deeper to get a clear view. There were some wide sets that kept the captains on their toes. Just when I thought my day couldn't get any better, Kelly turned up to get a couple. I think this is my favourite shot of the day. 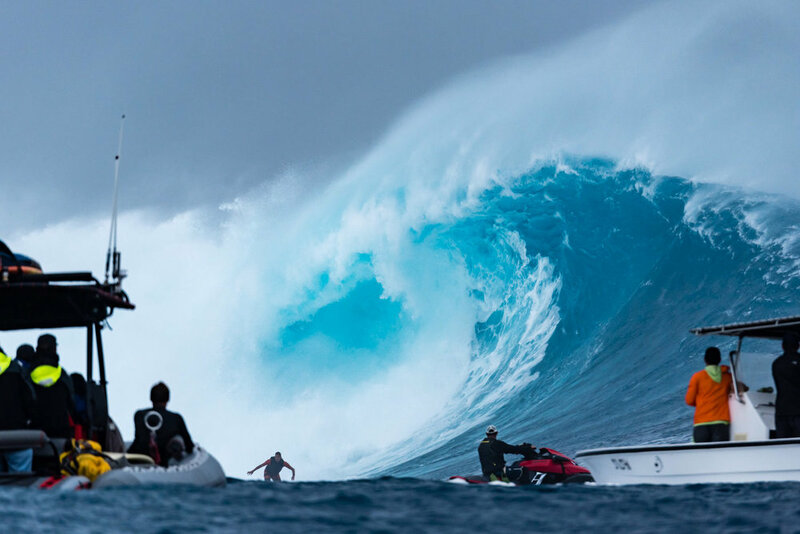 While it's not possible to portray the thunderous roar these waves make when they break, I think this image depicts the chaos, the adrenaline, and the thrill of shooting Cloudbreak during a monster swell.